Drug charges are extremely serious and should be handled with tenacious legal assistance in the Statesville, NC area. It is illegal to sell, possess, and manufacture many types of controlled substances on both a state and federal level. If you are facing drug charges and are concerned about what your future will hold, turn to me, W. Sloan Goforth, Attorney at Law, for help. I handle cases having to do with drug charges of all sizes in the Statesville, North Carolina area. Whether you were charged with possessing a small amount of marijuana or heading a large drug trafficking operation, I will provide you with committed, proactive, and tenacious legal assistance. Please keep in mind that the consequences you face depend on several different factors, such as the type and amount of controlled substance, where you were apprehended for the crime, and your criminal history. These consequences can also vary depending on whether you were possessing, manufacturing, or selling the controlled substance. While you are facing drug charges, it is incredibly important that you understand the potential consequences of the offense, as well as your legal rights. As your lawyer, I will be there every step of the way to defend your best interests and to help you understand what is going on with your case. Together, we may be able to substantially reduce the penalties you face. To find out more about drug charges and the types of cases I handle, please don’t hesitate to reach out to me today. I can provide you with a free consultation to help you determine what legal steps you should take next. 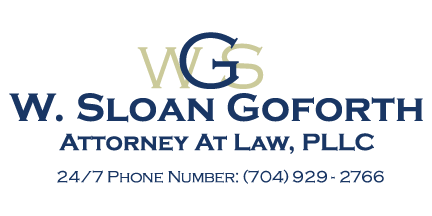 At the office of W. Sloan Goforth, Attorney at Law, we can help with legal cases regarding drug charges for residents of Statesville, Troutman, Taylorsville, Mocksville, Mooresville, Hickory, Iredell County, Alexander County, and Davie County, North Carolina.